In the Go-to-Market Interview Series I ask the founders of high-growth ventures across all of MaRS’ clusters how they overcame the growth challenges surrounding going to market. It’s a rare behind-the-scenes look into how these successful founders scaled their companies. Karan Walia, the co-founder and CEO of Cluep, is obsessed with artificial intelligence. Back in 2009 he attempted to write a speech-to-text engine for his personal smart assistant. After failing at this attempt, he decided to shift gears and began working on a text analysis engine instead. In November 2011, Karan and his younger brother Sobi met Anton Mamonov (they were 21, 17 and 16 at the time) at a hackathon called Startup Weekend Toronto. 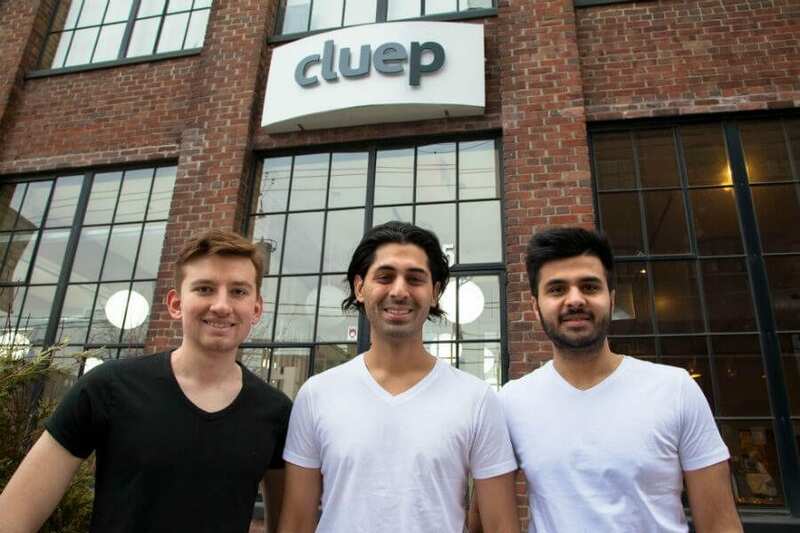 Sold on the vision for Cluep, Anton and Sobi immediately dropped out of school and joined forces with Karan. Big brands are intrigued by the Cluep platform—and why shouldn’t they be? 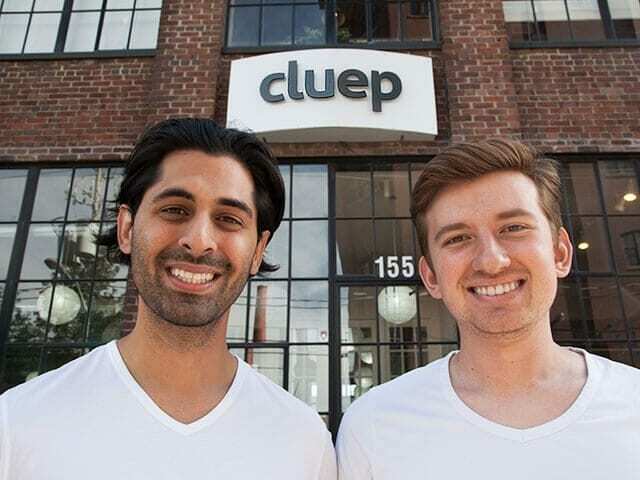 Cluep is getting 10 times the results of other ad platforms and it’s doing so with only seed capital. 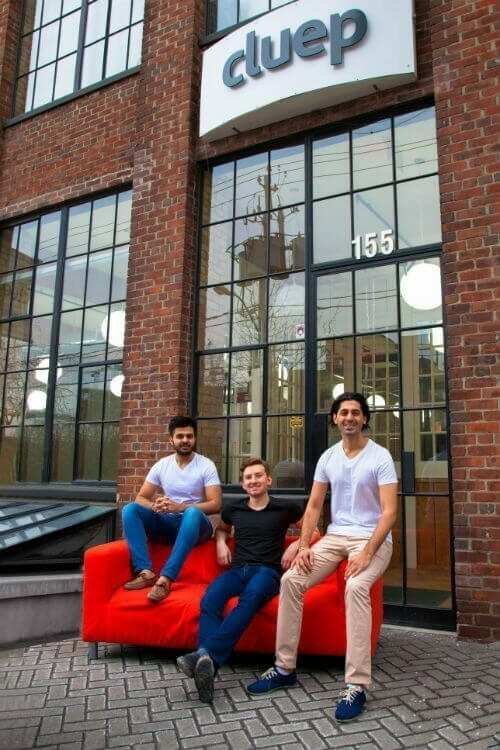 Karan, Anton and Sobi took a focused, strategic and refreshing approach to building the company, really taking the time to develop a robust platform. They built the company one brick (feature), one sale and one team member at a time. Read on for Karan’s insights into Cluep’s success. Elevator pitch: Cluep is a mobile ad platform that targets people based on what they share, how they feel and where they’ve been. Powered by a patented text analysis and location intelligence engine, Cluep enables marketers to target people based on three fundamental approaches: through posts, pics and places. Cluep has achieved substantial growth over the past couple of years. What were the key challenges you faced? When we started we were very young and had no resources. Anton, Sobi and I worked out of a lab at York University where we wrote our text analysis engine. We even broke into the lab and hacked into 24 computers in order to continue to train our algorithm on large numbers of data sets, simply because we couldn’t afford a server. This lab became our first unofficial office. We were on a shoestring budget and living off of student loans. We would split the same lunch every single day and, at the time, didn’t have any financial or emotional support. At one point I actually had to move back to my parents home in India for several months to save money so I could focus solely on Cluep. I decided to come back after our text analysis engine had achieved a high level of accuracy and we were convinced that building out a mobile ad-tech platform was the most profitable approach to commercializing our artificial intelligence. We knew that raising a seed round was going to be vital for building out our company, but we didn’t have access to capital. Without an investment, we wouldn’t be able to hire people and to focus fully on the product without worrying about money all of the time. We were only interested in raising capital from strategic angel investors who could help us with finding product-market fit and gaining traction, and who had a Rolodex of potential clients we could pitch to, so I decided to reach out to MaRS. The people at MaRS—shout out to Sonia Strimban and Nathan Monk!—provided valuable introductions to advisors in the marketing and advertising space who turned into our initial investors. We exploited every contact we could and our investors generously provided further introductions. This was just the tip of the iceberg because we finally realized that it actually never gets easier. I could literally go on and on about the challenges we’ve faced around product development, user interface and user experience design, branding, sales, hiring and developing a company culture, and I plan on sharing my experiences on Medium and maybe Snapchat, like Justin Kan (follow him!). How did you scale so quickly and what were some of your key tactics? There is no one straight route to scaling your startup. Scaling is deeply personal to each startup’s experience. Our tactic was laser-focusing on the things that really mattered: product, people and sales. I think that knowing when to hit the brakes so that you can spread behaviours and scale faster later on is extremely important. We made sure that our product was robust before we went to market by focusing on shipping high-quality code and having a great user experience. If we had shipped an incomplete product or an early minimum viable product, I can say with certainty that we wouldn’t have been able to run the number of campaigns we got when we went to market. Do not ship early. Ever. We’re now a staff of 21 and something worth mentioning is that each staff member was handpicked and interviewed by us. We didn’t outsource to a recruiting firm because it was important to us to choose people who shared our values and had the unique skills and drive we were looking for. You want to hire doers, believers and positive people as you build out your teams and you also need to be very thoughtful about team dynamics and culture, as they matter a great deal. Customers and sales are the lifeblood of a startup. You need to respect them, help them succeed, care about making a difference in their lives and listen to their input about how you can build a better product and improve your team. We learned, built and figured out a model for making customers successful by being customer obsessed from the start. You haven’t taken a Series A to scale outside of your angel round. Why not? We’ve been fortunate enough to be profitable from Day 1 and having limited resources forced us to make hard decisions about what we should build and who we should hire. It also forced us to negotiate harder about our office lease, to be more creative and to pretty much get more done. I’ve done the pilgrimage to Sand Hill Road in Silicon Valley. I met with the big firms, was offered investment and could have taken that capital and expanded exponentially, but at what cost? The cost of building the culture we wanted and a carefully crafted high-quality platform for our customers. Not raising a Series A round has forced us to be nimble. It’s important to consider the tradeoffs during your startup journey. What do you think of the quote: “Innovation = technology + go-to-market”? I feel that the quote is incomplete. Having good tech and a go-to-market strategy isn’t enough. You also need to be persistent, have a solid team and an awesome culture, and be willing to fail. Nothing. I’m glad we went through this process and learned from our mistakes and from the challenges we’ve faced along the way. I wouldn’t have done anything differently based on what we know today. What three words best describe your company?